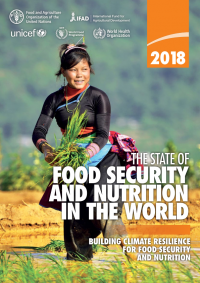 April 2019, Brussels – A Report presented today jointly by the European Union, the Food and Agriculture Organization of the United Nations (FAO), and the UN World Food Programme (WFP) finds that around 113 million people in 53 countries experienced acute food insecurity in 2018, compared to 124 million in 2017. European Federation of Catholic Family Associations (FAFCE). Today FAFCE, the European Federation of Catholic Family Associations, and its Members launch its EU wide campaign ahead of the European Elections (23-26 May 2019). The campaign Vote for Family 2019 will be run in EU Members States and is the fruit of the joint work of all FAFCE Members, 26 Family Associations from 16 EU Member States. 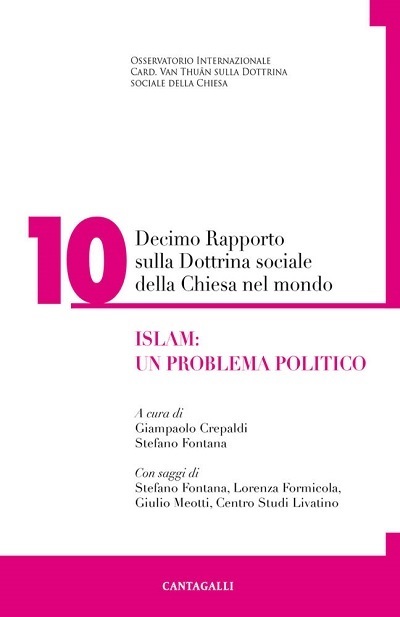 “The Manifesto which is presented today reflects the major concerns of European families – states Vincenzo Bassi (Forum delle Famiglie, Italy), Vice-President of FAFCE – Based on these concerns, we propose to all the candidates, from all political parties, food for thought to consider more family-responsive policies within the framework of the EU competences: our Continent is getting older and older, we need to respond to the demographic challenge with an European pact for natality”. Candidates will be invited to sign the Vote for Family Manifesto and their names will be published on 15 May, the International Day of the Family, when the Board Members of FAFCE will be gathered in Malta for their bi-annual Meeting. Every family in Europe is invited to take part in this campaign. Either directly, by using the campaign tools and taking an active part in the campaign, or indirectly through family associations and organizations, contacting the candidates in their constituency and asking them to sign the manifesto. Antoine Renard, FAFCE President, declares: “This is a campaign for all. And this is exactly in the spirit of our mission at the European level: FAFCE and its Members offer this campaign as a tool to raise awareness about the concrete needs of the families in our continent, which need a real demographic Spring”. The Manifesto includes 10 points and touches all the areas of major concern for family associations in Europe during the last years. Like in 2014 and in the ongoing legislative period, after the elections elected candidates who signed the manifesto will be contacted, both at the national and European level, to support their commitments to family friendly policies and offer concrete proposals on what they can do as Members of the European Parliament. The campaign will be presented by the FAFCE Members in their Countries and can be followed online on the dedicated website and on FAFCE social media. On the 2nd of April a press conference will take place in Brussels on the state of progress of the Vote For Family 2019 Campaign. Most Christians in the West understand that brothers and sisters around the world are persecuted for their faith. But often, it can be difficult to understand what reality is like on the ground for these oppressed Christians. What kinds of challenges do they face? What is day-to-day life like? And how can Christians in the United States stand with believers around the world in prayer and support? Each year, the World Watch List provides a searing glimpse into the 50 places around the world where it costs the most to be a Christian. In some countries, familial and social pressure make it terribly difficult to follow Jesus, while in other places, faith in Christ is threatened by daily risk of violence and physical oppression. 1 Corinthians 12:26 says “If one part [of the Body of Christ] suffers, every part suffers with it.” We invite you to explore the 2018 World Watch List and learn how the Body of Christ is hurting—and invite you to stand with God’s one, global Family. Poor progress has been made in reducing child stunting, the report says, with nearly 151 million children aged under five too short for their age due to malnutrition in 2017, compared to 165 million in 2012. Globally, Africa and Asia accounted for 39 percent and 55 percent of all stunted children, respectively. The report describes as “shameful” the fact that one in three women of reproductive age globally is affected by anaemia, which has significant health and development consequences for both women and their children. No region has shown a decline in anaemia among women of reproductive age, and the prevalence in Africa and Asia is nearly three times higher than in North America. Rates of exclusive breastfeeding in Africa and Asia are 1.5 times higher than those in North America where only 26 percent of infants under six months receive breastmilk exclusively. Adult obesity is worsening, and more than one in eight adults in the world is obese. The problem is most significant in North America, but Africa and Asia are also experiencing an upward trend, the report shows. Undernutrition and obesity coexist in many countries, and can even be seen side by side in the same household. Poor access to nutritious food due to its higher cost, the stress of living with food insecurity, and physiological adaptations to food deprivation help explain why food-insecure families may have a higher risk of overweight and obesity. The report calls for implementing and scaling up interventions aimed at guaranteeing access to nutritious foods and breaking the intergenerational cycle of malnutrition. Policies must pay special attention to groups who are the most vulnerable to the harmful consequences of poor food access: infants, children aged under five, school-aged children, adolescent girls, and women. At the same time, a sustainable shift must be made towards nutrition-sensitive agriculture and food systems that can provide safe and high-quality food for all. The report also calls for greater efforts to build climate resilience through policies that promote climate change adaptation and mitigation, and disaster risk reduction. Unicef, Report "Climate Change and Children"